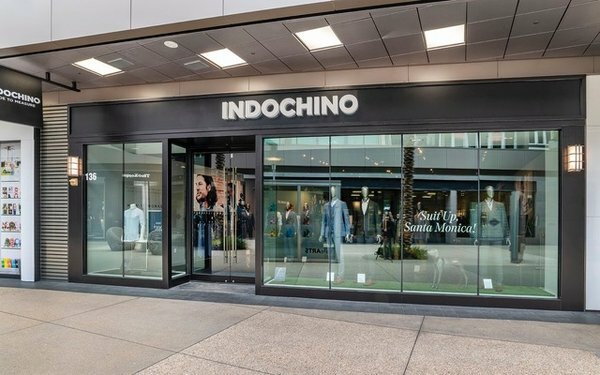 Now that we’re all kinda bored with how fast formerly all-digital brands are opening physical stores, it’s worth wondering when it’s time to say “Whoa.” Indochino, the made-to-measure men’s apparel company, plans to have 50 showrooms open by the end of the year. Casper has 20. Warby Parker is now up to 100. Does opening more stores — which usually means sinking considerable cash into pricey rents, long-term leases and at least some amount of inventory — make financial sense? Especially at a time when mainstream retailers like Macy’s, JC Penney and even Nordstrom are closing down stores, looking for more efficient ways to build their digital business? Because it’s all about collecting data, at least theoretically, these stores aren’t governed by the same brutal sales-per-square foot math traditional stores face. For them, “location, location, location” translates to a different kind of prospecting. They look for sites with high concentrations of trendsetters, ecommerce devotees and even international visitors. “It has to do with visibility,” Greenfield says. Maybe. But while that explains why Warby Parker has stores in Venice, Calif., and Cambridge, Mass., it does little to illuminate what they’re getting from their shops in places like Indianapolis and Oklahoma City. Greenfield thinks these companies see stores as a shorter-term strategy, and that they’ll vaporize once a D2C company feels it’s sufficiently mined any given zip code. By then, they’ll have turned neighborhood browsers into established e-customers. It’s cheaper to serve these customers via internet channels, and likely, more convenient for shoppers, too. So D2C companies will “be pushed into deciding whether [their] money is better spent on physical retail locations, or other ways of generating demand, like national TV,” says Greenfield. And with the general sense of excitement surrounding upcoming IPOs, it’s likely that the freewheeling “growth is good” mantra will be followed by investors chanting “show me the money.” “Very quickly, some of these companies are going to have to show they can be profitable,” Greenfield says. But if asking how fast these storefronts can lead to D2C profits is a valid question, I think it makes just as much sense to ask the reverse: How soon can traditional brands adapt the D2C storefront model to generate brand buzz and customer acquisition? Whether it’s Nordstrom, expanding its Local concept, a service-heavy and practically inventory-free approach, or Procter & Gamble’s Tide, which is now up to 128 dry cleaning locations, legacy brands are trying new retail formats to capture some of that D2C buzz. We’ll just have to wait and see how soon profits and growth can meet in the middle.